Eloi Vasquez, a 19-year-old freshman at the University of California, Berkeley, has been missing since the night of March 27. 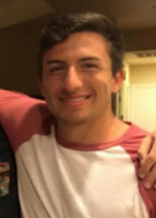 Vasquez was last seen leaving a party at the USC chapter of Tau Kappa Epsilon. Vasquez’s family originally announced to local news stations Sunday night that they would be offering a $50,000 reward for any information leading to his location. They have since increased the reward to $100,000 as of Monday morning. 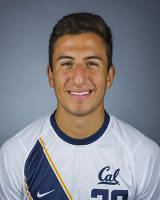 Vasquez, a member of the UC Berkeley men’s soccer team, was visiting USC’s campus along with his friends and teammates Joshua Morton and Marko Helfrich for spring break when he went missing. “At about 1:55 a.m., we called him and he said that he wanted to go to the beach, which was absurd because the beach was like a four-hour walk from [the TKE party],” Morton said. Morton’s and Helfrich’s attempts to call their friend back went through, but no one responded on the other end of the phone. The two eventually assumed that Vasquez likely went home with someone and that they would try to reach him the next morning; however, at around 12:30 p.m. the next afternoon, they became worried when their calls went straight to Vasquez’s voicemail — likely because his phone was shut off. The last contact anyone had with Vasquez before his disappearance was at 2:18 a.m. on March 28, when he called another friend at Berkeley and told her that he was alone and lost, and that his friends were not picking up their phones, but neither Morton nor Helfrich received any calls from him. 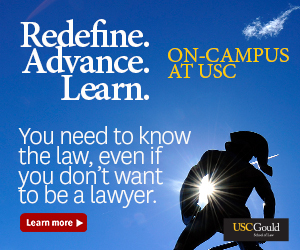 Morton and Helfrich filed a report with USC’s Dept. of Public Safety and the Los Angeles Police Department and have spent the past two days passing out fliers near where Vasquez was last seen. Morton said ABC News plans to speak with Vasquez’s family to alert the greater Los Angeles area of the student’s disappearance. The fliers describe Vasquez as 6 feet tall and approximately 175 pounds with brown hair and brown eyes; he was last seen wearing a white baseball tee with red sleeves. If you have any information pertaining to Vasquez’s please call: 415-209-3992 or 415-209-3990. 10:00 p.m. This story was updated to note that the family is offering a $50,000 reward for information leading to Vazquez’s location. Monday 10:50 a.m.: This story was updated to note that the family has increased the reward to $100,000.